Home » Health » Oral Healthcare » Tooth Extraction – Everything About Tooth Removal & When to Go for It? A tooth extraction is a procedure of having your tooth removed from its place in the mouth. The tooth is embedded in a socket in the bone, which requires a systematic procedure for removal. There are several conditions, such as tooth decay, periodontal issues, problematic wisdom teeth, etc., which require tooth extraction. The tooth extraction procedure requires anesthesia and instruments such as elevators and forceps. Tooth extraction may be surgical or non-surgical, and the dentist will give you medications for pain relief and infection control. Through this article, we will read extensively about dental extractions. You will learn about leading cause of tooth extraction, pre-extraction pointers, tooth extraction procedure, post-extraction pointers, complication, etc. Why might tooth exaction be the only solution? There could be several reasons for tooth extraction. These reasons could be concerning the teeth itself, the bones, other structures in your mouth or even the body. Tooth decay is the most frequent cause of tooth extraction. When there is a cavity or some discoloration in any of your teeth, the dentist will remove the decay and fill a restorative material. If the decay is widespread, a root canal is carried out. But sometimes, the decay is so severe that the tooth has to be removed to prevent the decay from spreading. The periapical region is the area around the apex of your tooth root. If there is an infection in the periapices, you will have a cyst, abscess or a granuloma in that region. Clinically it may not be distinguishable, but your dentist can see it well on a radiograph. If the lesion is large or causing much damage to the tooth and its surrounding tissues, then tooth extraction becomes the only resort for a cure. The periodontium is the supporting system of the tooth. It holds the tooth firmly in the socket. Due to excessive calculus or some pathology, the tooth may become loose from the socket. The dentist will advise tooth extraction if the mobility is very high. 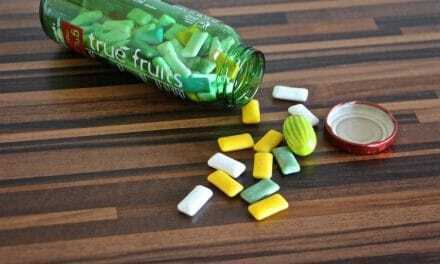 In some teenagers, the milk teeth do not fall off at the expected age. These teeth are over-retained, and they delay or hinder the eruption of their permanent successors. Over- retained deciduous teeth require tooth removal so that the permanent teeth have space to erupt. This condition can also be due to some growth deficiencies or syndromes. Often, people with crowded or forwardly placed teeth need to get braces. To make space to straighten these teeth, your orthodontist may advise you to have one or two of your premolars removed. Orthodontic extractions are needed to reduce crowding in the arch. The wisdom teeth, often called the third molars, are the last teeth to erupt on each side of the jaw. Most times these teeth are impacted, which means they are tilted or angulated because of lack of space. They push through the gums and often cause pain, swelling, and infection. The most effective treatment to get rid of wisdom teeth problems is extraction. Patients undergoing organ transplants are under medications that suppress the immune system. These medications lead to the teeth becoming infected, and the infection can spread. For this reason, an infected tooth may have to be extracted. Though tooth extraction is a single sitting procedure, there are many procedures and practices before actual removal of the tooth that you must keep in mind. You must inform your dentist about any medical conditions that you suffer from. Not just that, any history of recent hospitalization or the medicines that you’re on must be called out when you visit your dentist. Similarly, if you are taking medicines for high blood pressure, or blood thinners, written consent from your physician is needed. Female patients taking oral contraceptives should also inform the dentist about the same. You must also keep your dentist fully informed about any previous tooth extraction that you might have undergone. This helps your dentist assess your body’s response to the anesthesia and the tooth extraction procedure in general. It also gives an idea about your mouth’s healing rate. If you developed an allergic reaction to the anesthesia, you must tell your dentist about that. Before and after the tooth extraction, the dentist will give you medicines to reduce the pain, swelling and prevent infection. These mainly include analgesics and antibiotics. You must tell your dentist beforehand if you are allergic to any particular class of drugs. You must refrain from consuming alcohol or smoking before tooth extraction. These habits interfere with the clotting mechanism and delay wound healing. When your dentist advises you a removal, he will get an x-ray of that tooth to get a better picture of the damage inside. Through the x-ray, the dentist also gets a better idea of the tissues around the tooth. If there are any nerves, blood vessels or other structures around the tooth, the oral surgeon will be particularly cautious about it during tooth extraction. Before the day of your tooth extraction, the dentist may also prescribe you some medicines if you have an infection or severe pain. The antibiotics help to reduce the bacteria population in that area. This is important because if you have an abscess or some other infection, the anesthesia may not act. The dentist will advise you to have a wholesome breakfast, or an appetizing meal before you come for extraction. This is because you may get dizzy or hypoglycaemic if you are administered anesthesia on an empty stomach. It is imperative that someone accompanies you for the procedure. In case you feel giddy or uncomfortable, you aren’t going to be able to leave for home on your own. Unless asked by the dentist or physician, you must take your daily dose of medicine for conditions like diabetes and blood pressure. The procedure is usually carried out under local anesthesia. Under some special circumstances, general anesthesia may be given to a patient. If the patient is unstable, extraordinarily apprehensive or uncooperative, then general anesthesia may have to be administered by an anesthetist. A test dose of the anesthesia is given on the skin of the arm to check for allergies to any contents in the injection. The dentist first applies a topical numbing gel over your gums and palate near the tooth to be extracted. This helps to reduce the pain of the needle prick. The anesthesia is given with a small injection, and the dentist waits until the effect sets in. Depending on the area of the mouth, you will have subjective symptoms like tingling sensation over the anterior part of your tongue, or numbness and heaviness on your lower lip. Once the dentist is satisfied that the anesthesia has acted, he begins by removing part of the gums around the tooth to be removed. 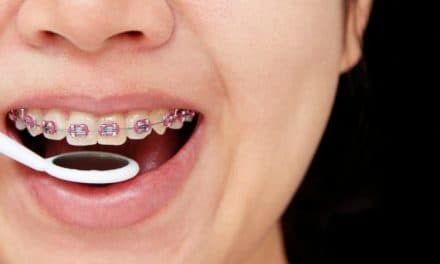 This helps them to gain better access to the tooth, and also gives a better grip while removing it. With the help of an instrument called an elevator, the dentist then loosens the tooth from its socket. The elevator works like a wedge or a wheel and axle. Once the tooth is loose in the socket, the dentist or the oral surgeon takes a forceps and firmly casts his grip on the tooth from its neck. The hold of the forceps on the tooth is important because if it is not firm, the tooth can break from the middle, fracturing it. With hand movements, the forceps are used to remove the tooth from the socket, where it is first rotated and then pulled out. If the tooth extraction is a surgical one, which is usually the case with third molars or impacted canines, a part of the bone may have to be removed. Special instruments like chisel and mallet are needed for this procedure. If you are having multiple teeth removed, or have had a traumatic extraction, the oral surgeon will give you sutures. 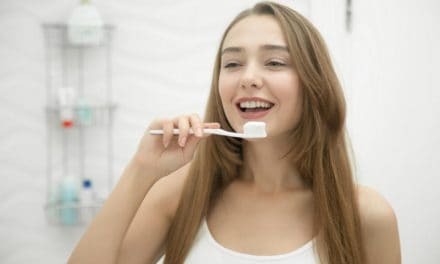 Once the tooth is out, the dentist will clean the area gently and place a small cotton gauze that you will be asked to bite on. He will advise you to keep this in the mouth for about thirty minutes to maintain pressure and control bleeding. Some bleeding over the next twenty-four hours is normal, do not continuously spit. This will dislodge the clot that is forming over the socket, and therefore delay healing. Do not eat anything over the next hour. After about an hour, plain ice cream is the best thing to control swelling and reduce pain. What to eat – Over the next three days, take care of your diet. Stick to eating cold, soft and non-spicy food. This will ensure you don’t have to chew too hard. Avoid eating spicy, crispy food or small grains or seeds. These can get lodged in the socket and give you pain and infection. The next day, take some lukewarm water and add one to two tablespoons of salt. Rinse your mouth with saline water. This helps to reduce the inflammation and swelling. Make sure you take the medicines as prescribed. Most commonly the dentist will prescribe painkillers and antibiotics. Applying ice over the area outside also helps to prevent or reduce swelling. Visit your dentist as advised for a follow-up and suture removal. Sometimes there may be minor inconveniences during tooth extraction, which may have implications later. Let’s look at some of them. Dry socket – It is also called alveolar osteitis in medical terms. Dry socket is a condition that happens when a clot fails to develop at the extraction site. The clot may get dislodged because of some disturbance at the extraction site. Due to the absence of the protective clot, the underlying nerves and bone are exposed, making it susceptible to infection, pain, and sensitivity. Damage to the adjacent teeth or fracture of the adjacent teeth may be an unwanted consequence of tooth extraction. If you are having your upper premolars or molars removed, there can be a communication between the oral cavity and your maxillary sinus, called an oro-antral communication. It may require surgical intervention if large. If your inferior alveolar nerve is injured, the numbness may last longer than anticipated. But this is a rare problem. 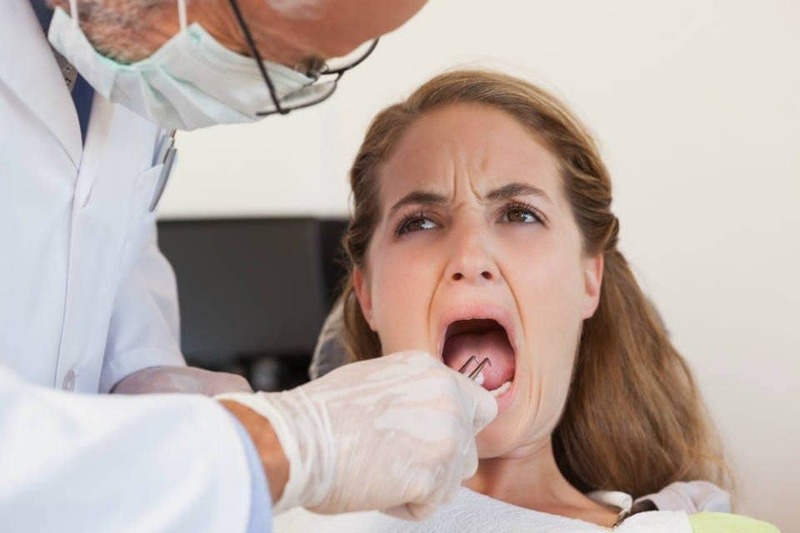 We all know someone or are someone who has had a fear of tooth extraction. But getting it done at the right time and following your dentist’s advice will make it a simple procedure without any harrowing experiences. 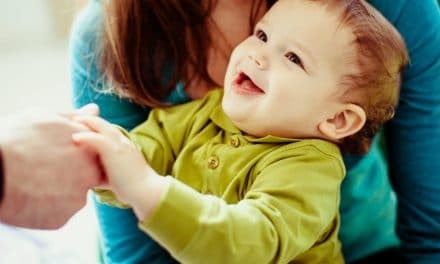 NextOral Hygiene – How to Practice Good Oral Hygiene?